It's been many years since you saw any civilizations from other planets and it's time to change that! The Overlord want's you to use his new experimental artificial intelligence called HumanAI to repopulate and rebuild abandoned planets and restore them. 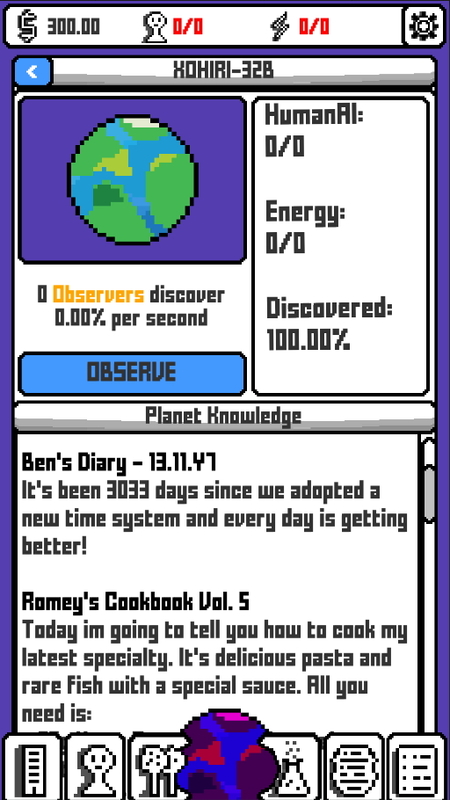 Explore and discover the story of each unique planet & try to figure out the reason their planet got destroyed. Use gathered knowledge to upgrade your tech & use found blueprints and ruins to build new buildings. Complete tasks sent by the Overlord and get rewards! Hope you are interested in playing!